From rooftop bars, high in the sky to downtown nightlife till the morning, Jozi has it all. Whether you are in need for some wine with the girls while the sun sets, a beer or two with the boys to celebrate the game or even just to get out of your shell and lose your mind on the dancefloor, you have come to the right place. The Jolly Roger is not really the first place you’d go if you’re in search of a spectacular view high up in the sky, but don’t let that stop you from making you’re way down there though, the chilled atmosphere makes this one of my personal favourites for my lazy Sundays (especially because there’s the half priced famous Jolly Roger pizzas, yes !) Either way, even if it’s on a Wednesday afternoon, you won’t regret making your plans here. 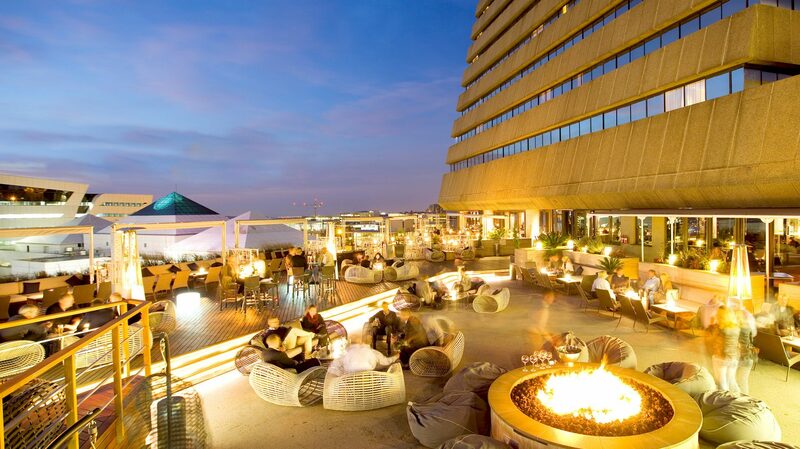 This wide and spacious bar offers you an absolutely stunning view of Sandton. With the bar already opening at 10:00 you’re free to watch the day pass you by on one of the city’s most beloved rooftops, otherwise make your way down there for after-work drinks. The venue is stylish and chic, relaxed and sophisticated and I would definitely suggest pairing that bubbly cocktail with one of their delicious dishes. With its warm and cosy atmosphere, Landmark is a perfect spot to take over the night. With a wide variety of wines and whiskey, you will even have an opportunity to dress up for the night. Here is a Melville-based place that has a jukebox, perfect! This means that if you want to hear your chosen tracks, you’d better get there early! Get up and dance, drink and just have an awesome time. They also serve up melted cheese in every shape and form that you could think of in case you get a late-night craving for something cheesy (not like the music your friends choose though). 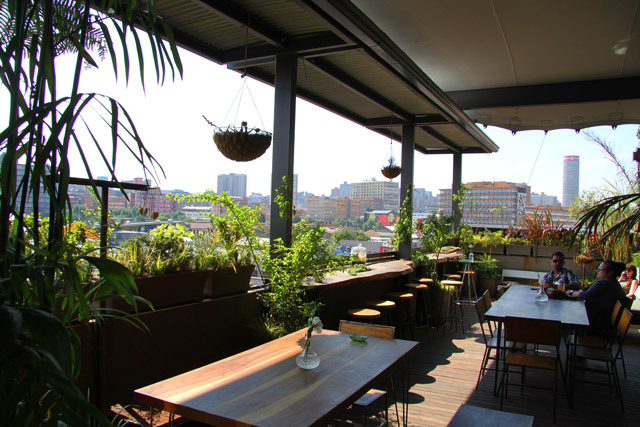 This Kiff rooftop venue in Maboneng overlooks the breath-taking city skyline and feels like you’re sitting in a garden. Eat tapas surrounded by an abundance of plants and sip on cocktails as the sun goes down, definitely an Instagram worthy spot! 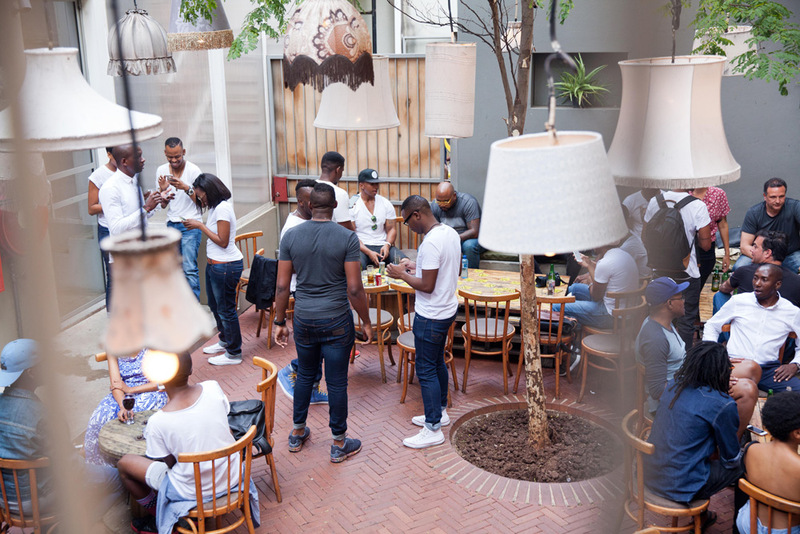 Great Dane in Braam is the perfect place to squeeze in that dance session you have been practising in the mirror. It’s a casual spot that has differently themed parties on different nights of the week, so you will have quite a night to look forward to! You also have to try their mouth-watering gourmet hot dogs, so don’t leave until you’ve tried one. I hope you guys have a super rad time at these places. Feel free to come ask reception anything about a good night out in the city.